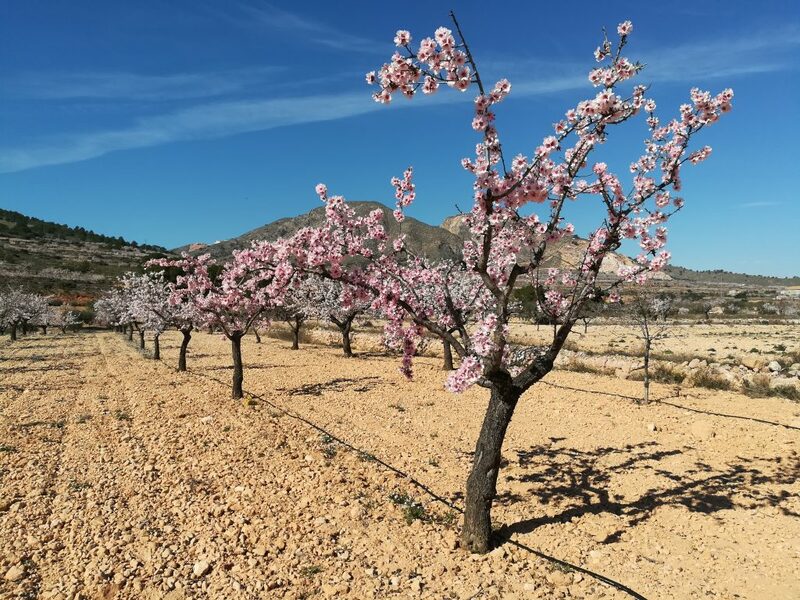 The stunning Hondon Valley nestles high between the Sierra de Crevillente mountains, in the Alicante region of Valencia on the stunning Spanish Costa Blanca South. 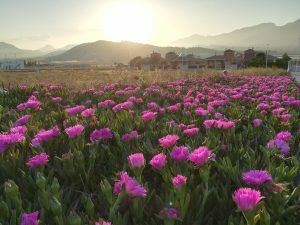 The flat and wide valley basin is a hive of agricultural activity with an abundance of vineyards and their associated bodegas, almond and olive groves as well as oranges, lemons, pomegranates, artichokes, tomatoes, onions and even fields of chili’s are grown here. The spectacular mountains are covered with pine forests on their southern flanks and criss-crossed with cycle and walking paths. It is a nature lover’s paradise with abundant flora and fauna as well as eagles and wild boar for the vigilant. There are two principle villages in the valley: Hondon de las Nieves (El Fondo de les Neus) meaning “gorge of the snows” although it never snows here, and Hondon de los Frailes meaning “gorge of the friars”. Both villages run independently with their own Mayors and town halls. There are an abundance of shops, quality restaurants, bars, indoor and outdoor markets, hairdressers, butchers and bakers, a gymnasium and a variety of garden centres. With large supermarkets just 15 minutes away and the shopping centres of Elche, Alicante and Murcia between 20 and 40 minutes drive. 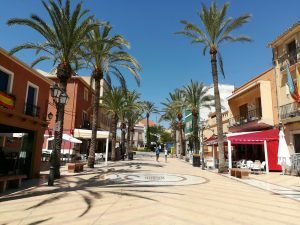 Alicante airport is only 25 minutes away and Murcia San Javier airport and the new International airport at Corvera (Murcia) are just a little further at about a 50 minutes drive. Both villages have excellent doctors and medical centres, schools and very well equipped sports centres including football pitches and swimming pools. The town halls in both villages often offer free Spanish courses to residents enabling better interaction with the local community. 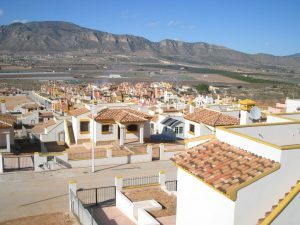 The spectacular Sierra Crevillente mountain range in which the valley is located can be seen no matter where you are on the Costa Blanca South Coast and it is renown for its natural beauty and abundance of traditional villages and stunning scenery. The north eastern end of the valley points towards Alicante and the mountains and hills of the Vinalopo region. 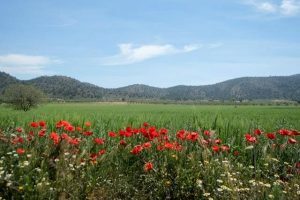 The south eastern end of the valley heads out towards the fertile Murcia plain, with stunning scenery and the ancient spa towns of Los Banos de Fortuna and Archena with their exhilarating in and outdoor heated spa and health centres. The drive from the valley towards the coast takes your breath away as you crest the mountains and the whole of the Vega Baja is laid out before you with panoramic views from Santa Pola in the north to San Pedro in the south. Both “Hondons” are famous for their fiestas normally held between mid July and mid August each year. The fiestas are almost a week long and cover cultural events, walks, cycling, best dressed street competitions, live bands, giant paellas, medieval markets, parades, marching bands correfocs fire runners (see video below), water fights and the inevitable fireworks finale. Finally, the tiny village of La Canalosa which is located between the two Hondons is renown for its re-enactment of the nativity every Christmas with thousands of people descending on its one main street to watch the actors and animals recreate the festive scene. So what are you waiting for? Let us show you your Hondon Valley Home.